We are all currently feeling the financial pinch. It is no secret that despite some improvements, the economy remains in a bad way and that if you have a family, you'll have undoubtedly been hit hard by the poor economic climate. For this reason, we have all been ‘penny pinching' and scraping in order to make ends meet. The increasing cost of living in the UK has made it harder than ever to survive and at times it can feel as though it is becoming impossible. 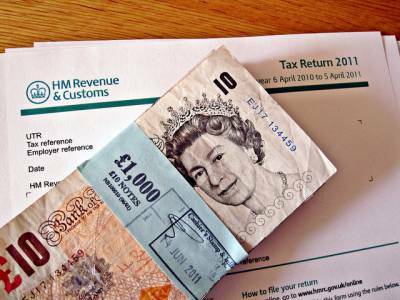 What many people are unaware of, however, is that they may be owed tax by the government, and, if claimed properly, this could help to partially relieve this pain. It is currently estimated that 1 in 3 people are owed at least some part of a tax rebate, so isn't it time that you checked to see if you're owed money? Many people are unaware that they can reclaim tax on a number of items. If you do any of the following then you're entitled to reclaim the tax. Travel expenses: If you've recently been travelling to a temporary place of work then you can reclaim the cost of petrol or public transport tickets. If you've left or are planning to leave the UK: If you left the United Kingdom in the last four tax years then you are entitled to claim back your UK tax. Purchasing work tools: If you buy tools for your job and you're not fully reimbursed by your employer then you're able to reclaim the tax you spent on those items. Teacher Tax rebate: If you're affiliated to a teaching union then you're able to reclaim the tax spent on your membership fees or any specialist clothing that you buy for your job. Washing Work Uniform: If you wear a uniform at work that you wash at home, you can be reimbursed for your laundering fees. This list is nowhere near exhaustive, but it provides you with a great idea on just how many everyday things we do that cost us could in fact be reimbursed. For a full list of reasons why you could be due tax back, visit Tax Rebate Services. What exactly are you getting back? Essentially, you're getting tax back for overpaid income tax. Think of it as being like a refund. There are, of course, eligibility criteria to meet, but this only really includes having paid income tax in the year that you're making the claim. You can claim your tax back for the past 4 years. Now that you know what spending you can claim tax back for, you can use free budgeting software like Money Dashboard to sort through the full list of transactions across all your cards and accounts and pick out purchases where you can reclaim tax. You'll also be able to see on easy-to-read graphs and charts how much you're spending month to month and identify ways to save money.